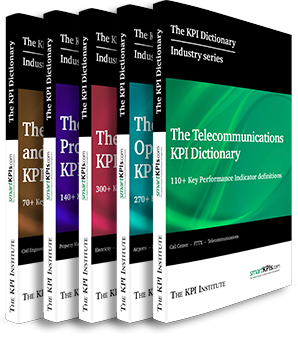 Get Your Industry - Specific KPI Dictionary! A comprehensive collection of KPIs specific to your industry to shape your next competitive advantage! 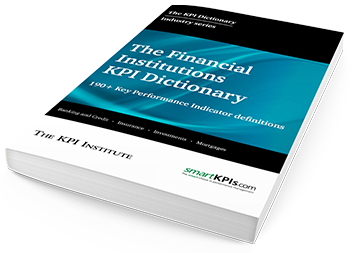 The Industry KPI Dictionary series is an educational product assisting professionals in understanding what Key Performance Indicators (KPIs) are, how they look like, how KPI names can be standardized for a more rigorous use and how they can be documented for more accurate data gathering. Examine this reference book collection and access the most relevant KPIs used in practice as a tool to enable the implementation of a sound performance measurement and management system in your organization! GET ACCESS TO KPIS FROM 19 INDUSTRIES, IN 19 COMPREHENSIVE BOOKS. "KPIs should be used primarily for learning. to assist in navigating towards the desired results." Get the KPI Dictionary specific for your industry and join our worldwide community of performance measurement professionals! Looking for industry specific KPIs?